It is hard to believe that this is already the third week of school! Our library checkouts started up today and we were so thrilled to notice lots of excited students making their way to the desk. 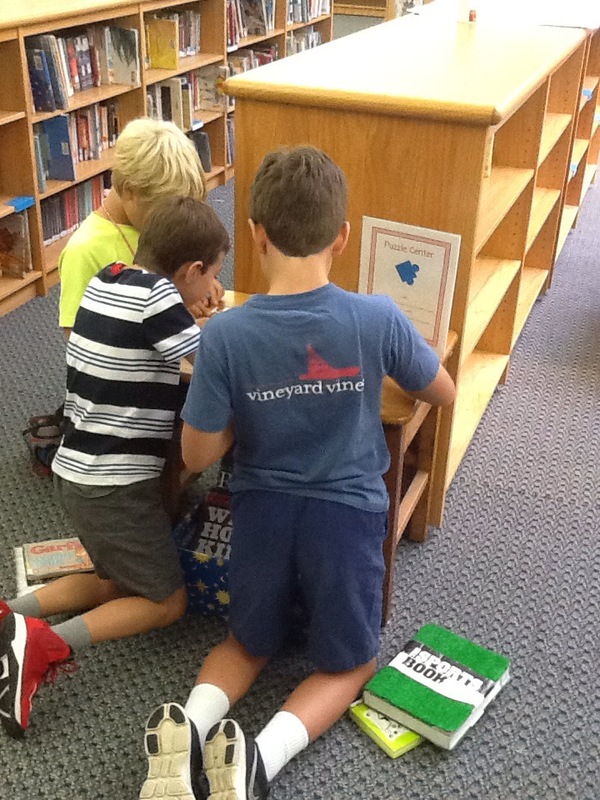 We also began a few “centers” in the library. We are starting with three: a puzzle center, an ABC table art center, and an independent reading center. We plan to add to these each month and keep them changing so you always have something new to try at the end of library class. What do you think so far? These fifth grade boys were really into the presidents puzzle that is out right now!